PSI Flex-Gel packs serve as a cold therapy system with many sizes designed to fulfill a wide variety of applications. Larger packs have pockets of gel that ensure even distribution of the formulation for a greater cooling area. When frozen, this water based formula forms ice crystals, which has proven to be the most effective cold therapy. This product is nontoxic and noncaustic and if punctured, will not stain... there are no dyes or artificial colors added. Although not intended for ingestion, no harm will be done if accidentally ingested by either people or animals. PSI Flex-Gel products provide a noninvasive, drug-free form of therapy and are constructed of a unique plastic that is soft to the touch for a user friendly application to the body. This special formulation ensures flexibility even when in the freezer for extensive periods of time, which in turn yields the maximum amount of effectiveness by allowing the packs to conform to the anatomy. These therapeutic gel packs are self-insulating, which minimizes the risk of frostbite or tissue damage. You should, however, use a barrier between the skin and the gel pack.One of our linen covers, terry covers, or flex wraps are perfect for this! If you do not have access to these products then a towel will work as a barrier. Be careful as extreme cold may cause adverse effects when applied directly to the skin, especially for long periods of time. Each pack is reusable, providing the most effective cold therapy over and over again! Cold Packs & Wraps can be found in our extensive online collection of products from globally recognized and trusted brands, including Pelton Shepherd Industries. 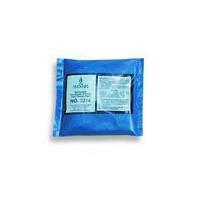 An excellent option to consider is the Flex-Gel Cold Therapy Packs, Compact (5" x 5").